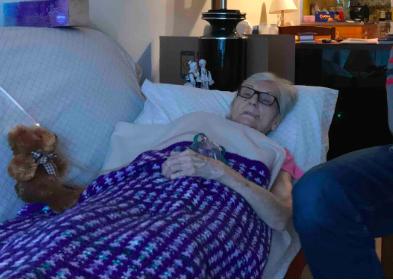 An 88-year-old woman who is dying from cancer is resisting an effort by the new owner of her apartment building to move her elsewhere so that he can proceed with plans for a new building on the site. Dorle Rispoli has lived in the building at 7905 Romaine St. at Fairfax for 42 years. She pays $570 a month in rent for the apartment. The building falls under the City of West Hollywood’s rent stabilization ordinance and thus rent increases are limited by law. Empire Property Group notified the residents in 2017 that they were being evicted under terms of the state’s Ellis Act, which allows such evictions if the owner of a building intends to tear it down or put it to another use. Empire has gotten the city’s permission to erect a five-story building with 34 residential units and retail space on the lot, which now is occupied by three residential and commercial buildings. Ellis evictions require a one-year notice for senior and disabled tenants and 120 days for all others. Ripoli was eligible for the one-year notice because of her age and health and was offered a payment of $23,000 to cover her re-location costs. Ripoli reportedly did not pay rent in November or December, however in December Empire agreed to allow her to remain in the unit until March of this year. Rispoli’s refusal to leave went public in an interview broadcast on KTLA with Michael Ryan, a neighbor who also was Ellis’ed from the building and who describes himself as Rispoli’s caretaker. Ryan, who WEHOville has been unable to reach, told KTLA that Rispoli was reluctant to accept the $23,000 relocation check from Empire because that might put her over the limit for state-assisted MediCal or Medicare support for health services. That would require her to pay herself for the assisted living services she receives. Ryan said a move also would likely require Rispoli to pay rent of as much as $2,000 a month for an apartment, which she cannot afford. In June 2018, Rispoli was told by her doctor that she had only six months to two years to live. 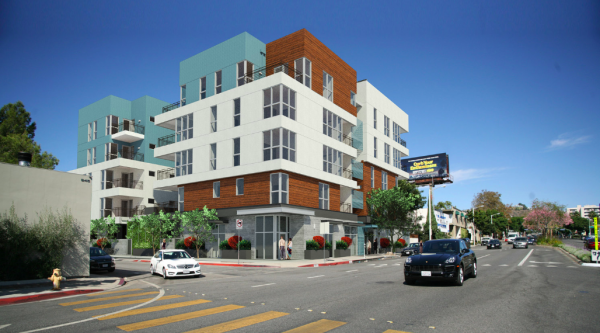 However Empire Property Group, in an email message that was shared with West Hollywood City Council members, said it didn’t want to forcibly evict Rispoli and could make available to her an affordable housing unit at the Empire at Norton, a 34-unit apartment building on Norton Avenue that is opening soon. Ryan is said to be resisting that move, as is Rispoli. “I want to stay until I die,” Rispoli told KTLA. “That’s what my plans were.” However, Ryan has created a GoFundMe page to raise money to move Rispoli. Poor dear lady. Is Empire offering her the same $570 rent at the new building? Good for her for standing up to the developers. More people need to do this because the developers are starting to call in all the favors they are owed for making Campaign contributions if it doesn’t stop, there will be no more affordable housing in West Hollywood. I would not believe the developers about providing a new low cost apartment, unless it is in writing and the rent is no more than her current rent and guaranteed not to go up. This is a very good example of how developers run this town and City Council is in their back pockets and do their bidding. I am for a five year moratorium on new construction, unless the building is 100% low income. We need to let the dust settle, see what damage we have done to our town and Residents and decide if we need to build anymore.